Sixteen Kentucky high school teams to compete in the invitational with funds going to those affected by the tornadoes. 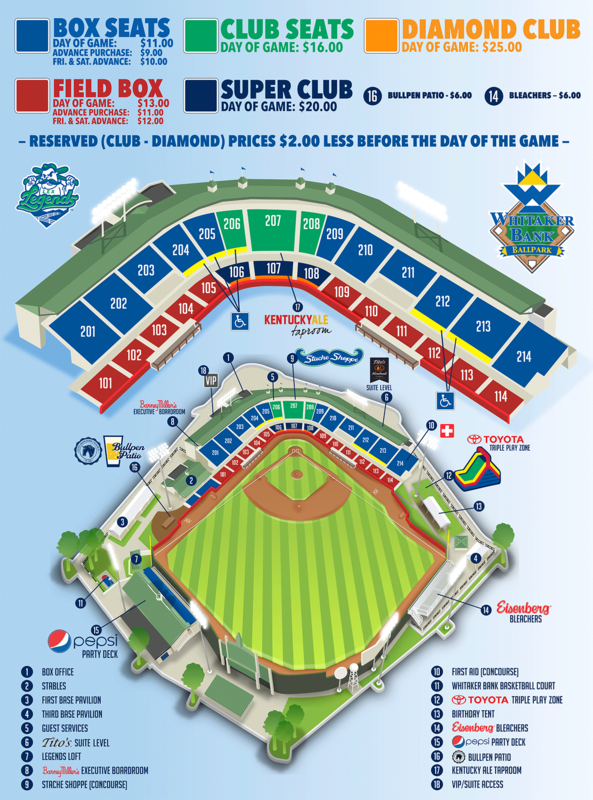 WHITAKER BANK BALLPARK (Lexington, KY) - Whitaker Bank and the Lexington Legends will serve as hosts for the Hits for Home Invitational March 13-16. Proceeds will go to the Salvation Army, which will then allocate funds to assist communities affected by the March 2012 tornadoes. Sixteen Kentucky high school baseball teams, many of them representing tornado-affected areas, will participate in the eight-game event at Whitaker Bank Ballpark, home of the Legends, who are a class A affiliate of the Kansas City Royals. Tickets to each session (two games per day) are five dollars per person at the gates on the days of the games. There will be no advance sale of tickets. Raffle tickets will be available for purchase. Winning tickets will be drawn and prizes awarded at the end of the final day of competition. "We are super excited to be part of this event," said Legends General Manager Seth Poteat. "It's a great way to give back in some small way to those communities that were devastated last year." The worst of the severe weather hit Kentucky on March 2, 2012, causing 24 deaths. More than 300 people were injured, and many Kentuckians are still struggling to repair and rebuild their lives, homes and communities. To make a personal donation to the tornado survivors, contact Lindsay Hinkebein at Whitaker Bank, 859-293-6005.